Exotic Hispanic sounds with savour of rum, wood and nostalgia: Allá donde se habla el castellano is a tour of those musics, intermixed from Cuba to Spain, Paraguay or Argentina, through the strings of the guitar, an instrument resting between America and Spain, born of the fusion of Christian and Moslem cultures in the Spanish Middle Ages and Renaissance. Even in the eighteenth century, Santiago de Murcia’s volumes, found in Mexico, point to a great variety of musical cultures, with works in Spanish, French and Italian style, and other intrinsically American genres. Dating from the end of that century, a Libro de Zifra found in Lima with minuets and sonatas in the style of Domenico Scarlatti, points to the transition to classicism and provides a sample of the music heard in the salons of Lima between 1790 and 1810. America has enriched the guitar repertoire of the romantic and contemporary centuries, breathing new life into it and igniting passion for the instrument in composers and performers. 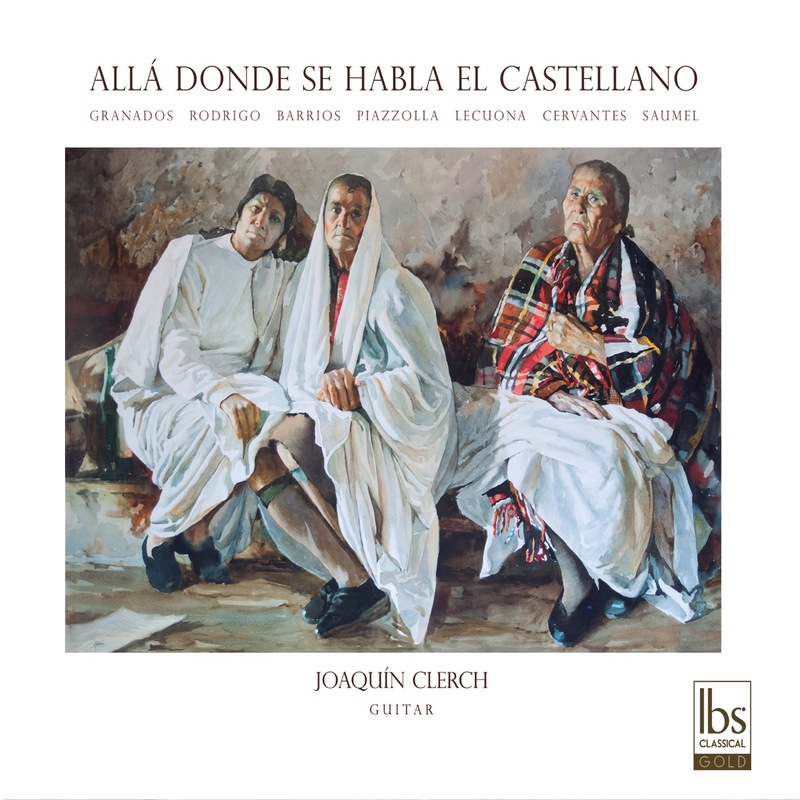 The Cuban guitarist Joaquín Clerch (Havana, 1965), a musician with a broad training and the inspiration for this project, has carefully selected a repertoire that he interprets with an innovative artistic vision, a body of shared objects, a treasury of past musics, cementing the foundations of this profoundly Hispanic artist.